Spray on zen? "Prepare pillows for sleep, freshen up sheets or towels or give your home an aromatic lift with this versatile lifestyle mist. Ginger flower mingles with cardamom, black pepper and clove to create a spirit-freeing scent. The third part of our City Zen trio, a spritz of this calming mist will help create a tranquil moment away from the bustle outside." 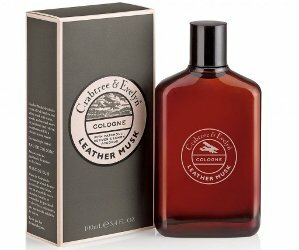 $19 for 100 ml at Crabtree & Evelyn. 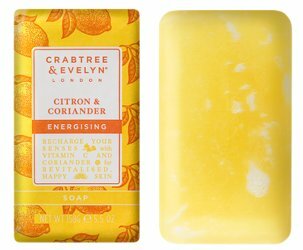 Crabtree & Evelyn's Energising Soap in Citron & Coriander: "Let the zestiness of squeezed lemons combined with peppery coriander and honey revive your skin while freshening up. 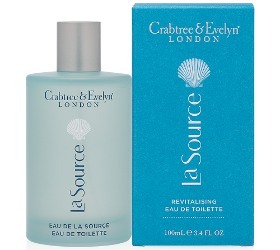 This restorative and moisturising soap supports as it cleanses, leaving skin feeling soft. 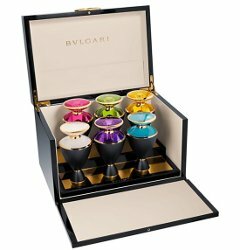 An instant boost to the senses and a hard-earned treat for hands." $10 for 158g. Mother’s Day (in the US, anyway) is coming up on Sunday, 10 May. Here are a few early gift ideas for anyone who wants to get started on their shopping. Watch for part 2 later this month.